Pictured are students from Mary Ryan’s class: Austin Quinn, Antonio Tassone, Floyd Haywood, Luis Piscitelli and Cheyanna Dorr. 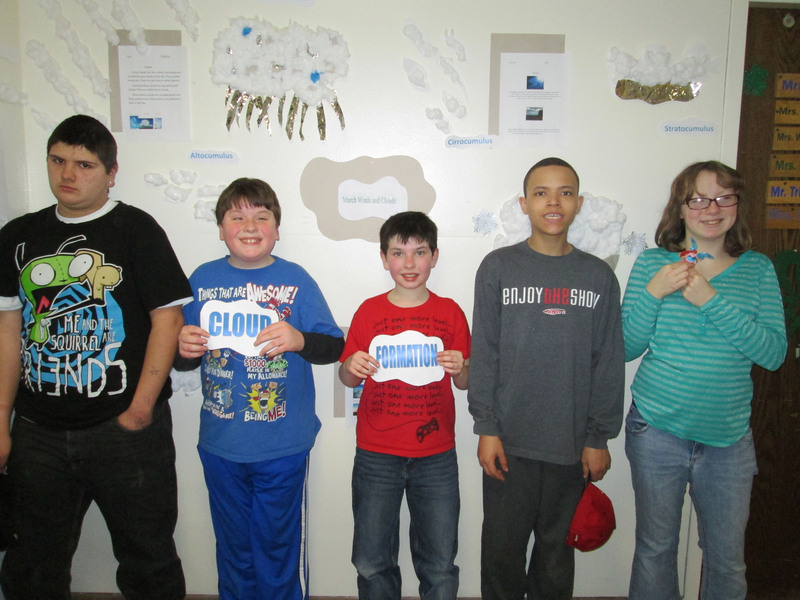 Students in Exceptional Education at Oswego County BOCES recently created a wall display of wind and cloud systems as part of a science unit. Students researched various types of cloud formations and illustrated what altocumulus and cirrocumulus clouds look like using cotton balls. Acrostic word poems were also written by the students from weather related words like hail and sleet.